. This elegant necklace will showcase your graceful style. White freshwater potato pearls 8mm Grade A with Tibetan Turquoise bead inspiring design in multi 4 strands beau with Sterling Silver Clasp Handmade Necklace. 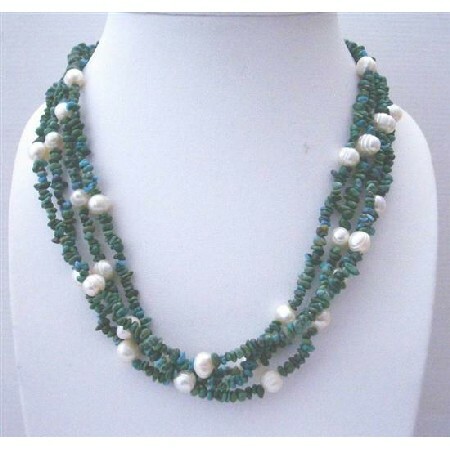 Whatever you are looking for Material used for Jewelry you can get it from Fashion Jewelry For Everyone Handmade Exquisite Necklace! This Necklace Delve into a World of Glamour.